Overview... lead editor of the Spotlight team. Spotlight is a specialized group of investigative journalists at The Boston Globe, and under Robby’s command, they’re going to tackle their most difficult and controversial topic to date: child molestation in the Catholic Church. Personality… meticulous, self-righteous, and bold. Robby will stop at nothing to get to the truth. His team will spend months investigating a specific story. Quality control is Robby’s middle name. 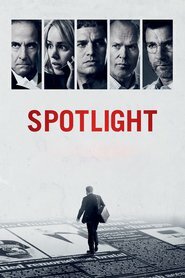 While most news stories are written and published in a day, Spotlight’s pieces are nurtured – Robby won’t put anything out unless he knows it’s going to shake the world. Walter "Robby" Robinson's popularity ranking on CharacTour is #4732 out of 5,000+ characters. See our top-ranked characters and read their profiles.